All our Yoga Instructors in delhi are certified and have at least one year of professional experience. When you contact a Yoga Instructor in delhi at Life Positive, you are protected by the Life Positive seal of trust. We only know that Yoga is a collection of difficult poses. But do you know that yoga connects body, mind, and spirit through meditation, postures, and breathing exercises? Yoga has become popular in the recent years. We all know that June 21 is the International Yoga Day and is celebrated across the world. Many people from different countries come to India to learn Yoga. The renowned Yogi, Sadhguru called Yoga as an expression of life. He says, Yoga essentially means finding the keys to the future of the existing. Yoga is a spiritual mechanism that seeks to create a perfect synergism among your body, mind, and spirit. Yoga helps in achieving inner peace and self-control. It helps you to connect with your inner self. It takes you to the divine path and brings inner harmony. In addition to spiritual upliftment, Yoga has many benefits that bring positivity to your physical and mental health. Yoga helps you to fight with health issues such as high blood pressure, cholesterol, respiratory disorders, cardiovascular disorders, digestive disorders and so on. Yoga also boosts your immune system and keeps you away from various diseases and ailments. Yoga brings inner peace and also improves your mental health. It helps you to overcome psychological or behavior problems like anxiety, depression, insomnia and so on. These are just a few of the countless benefits of Yoga. Essentially Yoga benefits every part of our body, making it one of the most effective healing practices worldwide. Yoga is practiced in India for many years. India now has trained and passionate Yoga Experts. Life Positive is glad to have partnered with some of the best Yoga experts in India, who have many years of experience. You can contact your preferred Yoga expert in India from the list above.
" I enjoyed my yoga sessions with Pooja ji more than I did with Jitendra ji. Not only because of the comfort associated with an instructor of the same gender but also because she is organised, punctual, meticulous and cooperative. I would highly recommend this yogi couple. " Lajpat Nagar 4, New Delhi. . .
" He is an excellent teacher with immense knowledge of yog and its basics. The most important thing about him is that he is following the classical yog practices and he sticks to the basics of yog, as mentioned in the original texts and not as marketed. He explains the reasons and philosophy behind yog and aasans. I highly highly recommend him for people who would like to do real yog and not the commodified yog and aasans. I have been practicing yog with him for the last eight months and I am satisfied. " 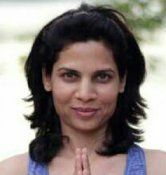 " Mr. Yogi Anand is indeed a fantastic life coach, yoga guru and meditation expert. His guidance has helped me a lot in tackling my work-related issues. I recommend him to anyone who is facing troubles in their life. " 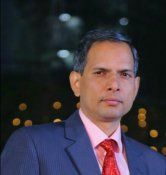 " Hey friends, want to share an info with you all..I would like to extend my thanks to Mr.Gautam Sinha I have been suffering from disc bulge and was in great pain since 5-6 years...have tried everything from homeopathy to allopathy to kerala massages and what not but no relief...then I found Mr.Sinha as life saver...by practicising the yoga and other tips given by him and with the effect of reiki healing he has given to me, I got relief within two months, that too without even meeting him personally. 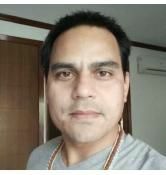 I would highly recommand Mr.Gautam to everybody for learning yoga as a lifestyle change or as a treatment and reiki for any medical problems.. Sharing ...so that whosoever needs can take help.... 😊, Astha Jimmy from UAE"